Antigua Cerveza was born in honor of this noble city. Inspired by Antigua’s mix of personalities, history and traditions, three best friends discovered and created the unique tastes of this delicious beer. Crafted by hand, and with pride, we present Antigua’s true craft beer. Welcome to the home of Antigua Cerveza! 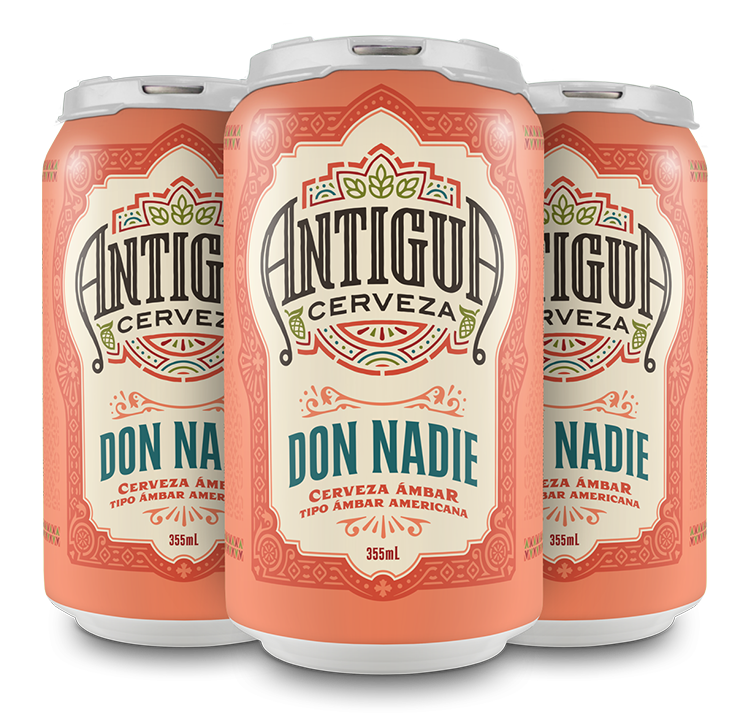 We are a 100% Antigüeña craft brewery started in 2012 and we're dedicated to brewing fresh and traditional beers with local and innovative flavors that reflect the rich history of our home town. At Antigua Cerveza, you'll not only find high quality craft beer, but also dedicated team who is passionate about the tradition and art of creating new beer styles that appeal to anyone searching for something a bit different. Brilliant, refined, and like our home – a classic. This beer pays homage to our very noble city with its golden tones and citrus filled aroma. This one calls to you like a sun bathed Antigua afternoon. Like a true legendary gentleman, this beer is simple and without pretense and it’s as discreetly sophisticated as it is adventurous. Its mix of red malts and smooth hops assure that you won’t forget this encounter. Our most bitter beer – the one you’ve been preparing for. Brewed with large quantities of American hops and balanced with caramel malts, this beer reminds you that from bitter moments come the best memories. This beer requires dedication. With its notes of coffee and chocolate coming from dark malts, it leads you step by step through a traditional process, steeped in time and tradition, and reveals in its color, a true Antigua flavor. Have something to say? Feel free to leave us your comments or suggestions. We love getting to know our customers! *Visitas y tours a la planta disponibles para reservar en nuestra página de tours. * Visits and tours to the brewery are available on tours page. * DECRETO 90-97 “EL EXCESO DEL CONSUMO DE ESTE PRODUCTO ES DAÑINO PARA LA SALUD DEL CONSUMIDOR”.